BAGHDAD - The al Qaeda breakaway group that has seized much of northern Syria and huge tracks of neighboring Iraq formally declared the creation of an Islamic state on Sunday in the territory under its control. The spokesman for the Islamic State of Iraq and the Levant (ISIS), Abu Mohammed al-Adnani, made the announcement in an audio statement posted online. Islamic extremists have long dreamed of recreating the Islamic state, or caliphate, that ruled over the Middle East for hundreds of years. Abu Mohammed al-Adnani said the group's chief, Abu Bakr al-Baghdadi, is the new leader, or caliph, of the Islamic state. He called on those living in the areas under the organization's control to swear allegiance to al-Baghdadi and support him. "The legality of all emirates, groups, states and organizations becomes null by the expansion of the caliph's authority and the arrival of its troops to their areas," al-Adnani said. Al-Baghdadi rose through the ranks of the organization before becoming emir some time in 2010-2011. The group relies on a handful of senior decision makers, but al-Baghdadi has the final word, according to the intelligence official. Most of its funding comes via robbery, extortion and smuggling, with a small percentage coming from donations. 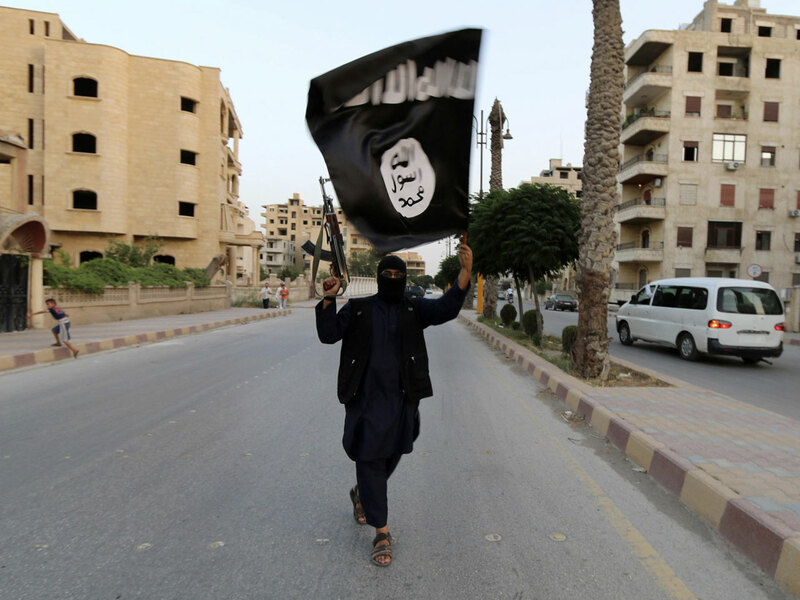 ISIS has also reportedly looted banks in some of the cities its seized. Al-Adnani said that with the creation of the caliphate, the group was changing its name to just the Islamic State, dropping the mention of Iraq and the Levant. The Iraqi military's offensive against ISIS stalled over the weekend during an assault on the jihadist-held city of Tikrit, reports CBS News correspondent Charlie D'Agata. While the situation is fluid, the military's largest-yet offensive was pushed back and is the latest in a series of failures against the militants, D'Agata reports. It was unclear what immediate practical impact the caliphate declaration would have on the ground in Syria and Iraq, or among the wider global jihadi community. Former CIA Director Michael Morell told "CBS This Morning" earlier this month that ISIS' first goal is "to set up that caliphate and, it's not just in Iraq and in Syria." "Their second goal then is to use that as a safe haven to attack the United States," he warned. Despite that prospect, the creation of a safe haven isn't the only concern for U.S. intelligence officials, Morell said. They also have concerns about ISIS sparking a very bloody sectarian war that could create a massive humanitarian crisis and even more chaos in the region along Shia and Sunni sectarian lines. U.S. advisers have been part of the recent offensive against ISIS, according to Iraqi officials, helping to coordinate resources. U.S. officials also announced recently they are flying armed drones over Iraq. Despite the threat of a caliphate safe haven, and the Iraqi military's thus-far ineptitude against ISIS, there is unlikely to be much immediate wider American involvement in the conflict. Both the Obama administration and members of Congress have expressed repeated concerns about the functionality of the Iraqi government, currently headed by Prime Minister Nouri al-Maliki. Lawmakers of both parties increasingly say al-Maliki needs to depart from office if there's any chance of a political reconciliation to stabilize the country and curb the growing threat from ISIS. "He needs to put together a government. We know that Sunnis and Shias alike have come out against him, but if you're going to want the Kurds, the Sunnis and the Shias working together, it cannot work with Maliki," said Sen. John Barrasso, R-Wyo., a member of the Senate Foreign Relations Committee, on CBS' "Face the Nation" Sunday. "He's going to continue to go to others to prop him up. We see the Russian planes coming in, and he continues to go to Iran." In separate interviews on "Face the Nation" Sunday, Sen. Joe Manchin, D-W.V., and House Homeland Security Committee Chairman Mike McCaul, R-Texas, reached the same conclusion. "I don't think this can happen with Maliki in power. The good news is they have to finalize their government at the end of this month, and I do think the Shias are starting to move towards that direction to a new leader," McCaul said. Manchin, for his part, predicted that Iraq's Shiite prime minister will not "change his ways," and went so far as to predict that his fall from power could lead to a change in national boundaries within the Middle East. "The lines that were drawn 100 years ago won't be the lines when it's all finished. And we, for some reason, don't want to accept that," Manchin said. Barrasso also said it's possible that Iraq breaks into three different states drawn along religious lines, especially because the current destabilization gives the Kurds an opening to establish a long-sought independent area. "I think it's in the best interest of the United States to have a stable Iraq, but we're not there now," he said. CBS News Senior National Security Analyst Juan Zarate, a national security adviser under former President George W. Bush, said recently the threat has the potential to reach U.S. soil. ISIS "is not just a threat in Baghdad or even Syria. It's a real threat to the West, because it's able to recruit fighters, train them, send them out, and then possibly redeploy them back West," Zarate said. The concern is that the foreigners recruited by ISIS could become more radicalized after their time on the battlefield and return home to "attack their fellow citizens in the West," Zarate said Wednesday. The fighters "turn in [their] passport, get paid for it, the passports then get reconfigured and sold to others heading back west," he said. "There's an entire infrastructure to getting people in and out, money in and out, and it's very easy then to have people hidden in that mix. The challenge then is: who's coming out to potentially attack [other] countries?"